Illinois has approximately 7,000 units of government, a relatively high amount compared to other states in the nation. 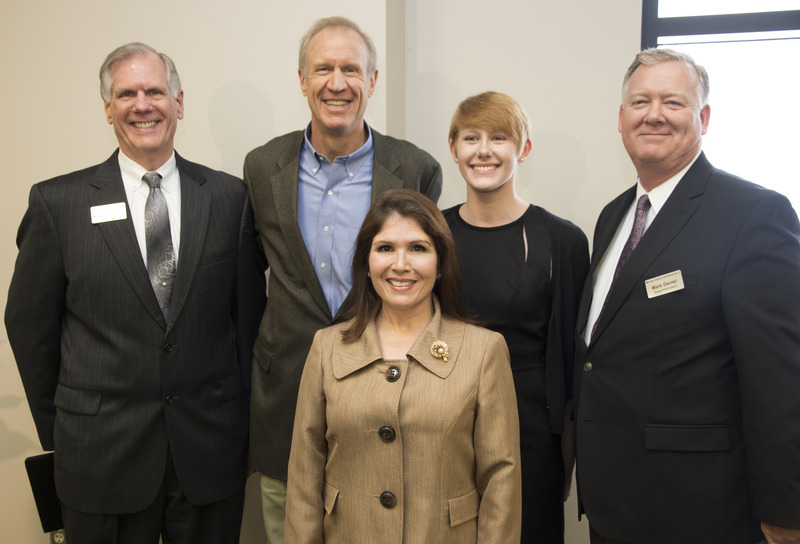 When elected to office in 2014, Illinois Governor Bruce Rauner and Lieutenant Governor Evelyn Sanguinetti had a goal to empower state government agencies to be more effective and efficient. To do so, Lt. Governor Sanguinetti formed a task force on local government consolidation and unfunded mandates and requested agencies submit examples of their shared resources with other government institutions. She received more than 200 submissions, including one from Heartland that spoke about the College’s strong partnerships with their district’s K-12 schools. Out of those submissions, Heartland is one of 27 agencies to be featured in the journal, 2016 Journal of Local Government Shared Service Best Practices. Overall, the journal highlights effectively crafted agreements and shared service partnerships among various governmental and public entities. Heartland’s entry speaks of partnering with K-12 to promote college readiness and STEM learning. The entry details the benefits of dual credit, remedial education resources and simulated learning through the Challenger Learning Center. It also explains a facilities use partnership with McLean County School District Unit 5 to distribute thousands of laptops to middle and high school students at the start of each school year. Both the Governor and Lt. Governor announced the journal during a press conference at HCC on February 8 and congratulated Heartland on their successful partnerships. HCC President Widmer and Unit 5 Superintendent Dr. Mark Daniel stressed the importance of partnerships during challenging fiscal times. “From social and transportation agencies to K-12 and higher education, we all find ourselves in challenging fiscal situations. 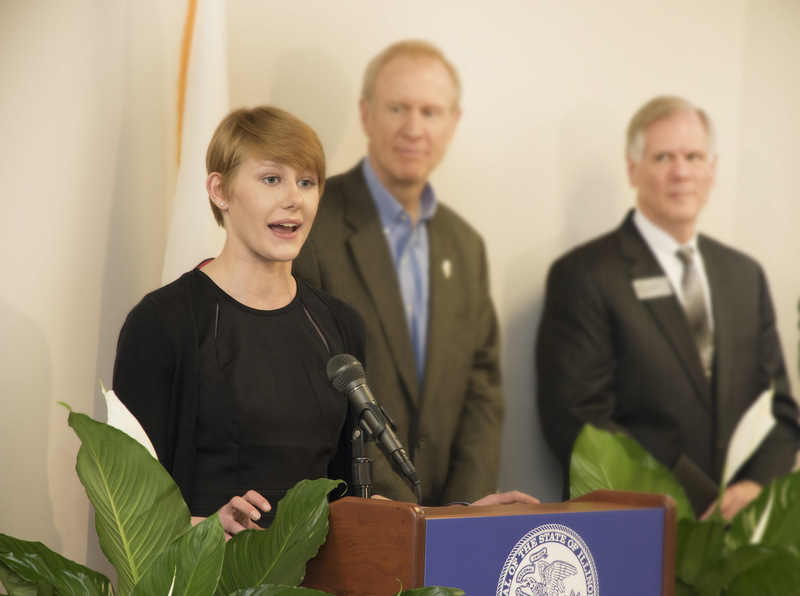 Seeking and implementing opportunities to partner with other government agencies helps us continue to fulfill our mission, serve our constituents and maximize our limited resources,” said Widmer. Kirsten Peterson is a 2016 graduate of Normal West High School and is currently studying Political Science at HCC. She entered Heartland with 24 hours of college credit thanks to dual credit with College NOW and Advanced Placement courses. She's on track to graduate this summer. Kirsten Peterson speaks highly of her College NOW experience. A full copy of the journal is available online. Heartland’s entry can be found on page 31.